Landscape Lighting - Oakville | Augusta Green Sprinklers Inc.
Landscape lighting can take both the look of your home and yard to the next level. A well-designed lighting system turns any landscape into a magical place after dusk. It adds character and beauty that is breathtaking. Undertaking an impressive lighting design is challenging if you attempt to do it yourself. However, expert design, installation, and service for landscape lighting on Oakville properties is available from Augusta Green Sprinklers. A contractor with the right skills and experience knows how to place outdoor lamps and fixtures to expertly cast dramatic lighting effects and draw focus to important features of a landscape. In addition to being a gorgeous outdoor feature, a well-placed lighting system also helps residents and guests walk safely across a yard or garden. Design – A number of design options are available to uniquely enhance the aesthetic beauty of any home’s outdoor space. We provide a wide range of lighting fixtures to style and decorate your front yard or back garden. Our technicians’ vast experience and knowledge enables them to help you choose a design to compliment any home or property. Quote – We are not only service providers; we are consultants for our clients. In addition to offering beautiful lighting installation, we give our clients honest advice. We assess the project, devise a proposal, and provide you a quote. We also discuss various factors that can affect pricing so you can make decisions based on all the information available. Build – After you select our team to create your landscape lighting in Oakville, our technicians start building the design of your choice. 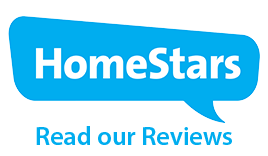 We use state-of-the-art tools and equipment to install the system and make it attractive. LED – Our LED fixtures offer an affordable option that saves on hydro costs. We offer a variety of LED systems and colour-changing bulbs, and our technicians can advise how to change the look, depending upon the season or holiday. Security and Safety – By providing well-lit walkways you and your guests are able to spend time outdoors without worry of injury. When your property is visible, intruders are unable to set foot on it without neighbours or passersby noticing. 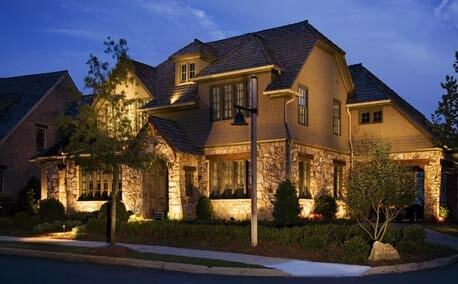 Augusta Green Sprinklers provides full-service landscape lighting for Oakville clients. We employ a team of professionals with the right skills, knowledge, and experience for design and installation of lighting systems to make your landscape captivating. Call us at (416) 227-1666 or fill out our contact form to request a free quote.